New Delhi : Vodafone Foundation in partnership with NASSCOM Foundation, today announced the winners for this year’s edition of its flagship initiative ‘Mobile for Good Awards’ at a grand event in Delhi. Committed to mobilising social change by leveraging the power and potential of the mobile technology, the Mobile for Good awards acknowledge and support ideas and concepts from NGO/NFPs that effectively and efficiently empower communities and change lives in their own unique way. This year, 12 winning innovations were recognised across two categories – ‘Leading Change Maker – NPO’ and ‘Leading Change Maker – For Profit’. Innovative mobile driven solutions in four critical areas of Health, Education, Agriculture & Environment and Women Empowerment & Inclusive Development were selected from both the categories. This year, a special award was also given to the best Government led innovative mobile solution. The five winning NPOs, were also awarded INR 1.2 million each and will be mentored by the best in the industry to expand and upscale their capacity, improve project monitoring and enhance impact evaluation of their projects. 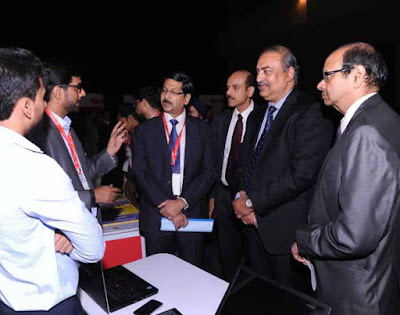 Announcing the winners, Sunil Sood, MD & CEO, Vodafone India, said, “The most exciting thing about being a part of the telecom sector is empowering people through connectivity. The government has made inclusive growth central to its agenda and embarked on several initiatives to deliver development to the very last mile through a ‘Digital India’ and a ‘mobile first’ approach." "We are celebrating the fifth year of Vodafone Foundation’s mobile for good awards in India and are delighted to support emerging new talent in developing ideas which are translating the vision of Digital India into reality. Today, with over a billion mobile phone subscriptions in the country, the ubiquitous reach of the mobile makes it the most relevant channel for last mile outreach," He added. Congratulating the winners Chief guest J S Deepak, Secretary, Department of Electronics and Information and technology, Government of India said, "The target for our government is to increase the access to technology and therefore transparent governance to the last citizen."